Its not easy to get to this point of realisation, and often it takes something major to assist you in getting there. But making the decision is a lightening of invisible weight, a sparkle within, an anticipation of freedom. 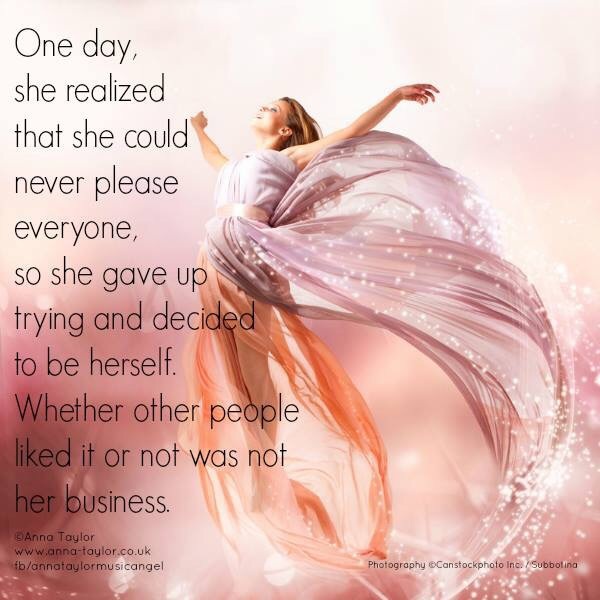 Are you a pleaser? A ‘yes’ person? The one who volunteers because it’s the right thing to do? The family member who shoulders the responsibility because others won’t step up? The friend who is always available? Do you present the cheery smile when inside you are crumbling? Show the world that all is good in yours when really, all you want to do is lock yourself away and indulge ‘you’ in what inspires you or comforts you in being you? It is exhausting ‘doing’ and ‘being’ to keep others comfortable and happy when you yourself are left with a lingering discomfort. How do you get to the moment of decision, the moment of truth? My moment, as with most of my moments, arrived during a kinesiology session. It was always there within, buried deep and awaiting discovery. That is the beauty of kinesiology. The answers are already within. Your body knows exactly what it needs and desires, and the answers arise when the goal you have personally devised for your session is set, and the time is ripe for the ‘birthing’. Personally, I find that on retrospection, there were niggling thoughts, an uneasiness or perhaps a feeling of just not quite being able to put my finger on the fluttering discomfort. Kinesiology gives me clarity, a sense of mission, a duty to self. Its my business. It’s me. Reblogged this on Shouna's Perception of Peace.